Thursday 7:00-8:30pm. Hold your spot and pre-register now for Term 3 for the Intro/Beginner Ballet classes. Spring programs begins in April 4, 2019. Fall programs will begin the week of Tues Sept 13, 2016 for all adult and children’s and Intensive Training Programs. Office hours will be limited but we will be checking our emails and telephone messages periodically. Sat June 4 @ 7:30pm & Sun June 5 @ 2pm. $20 (general seating) Doors open 30 minutes prior to performance time. Tickets through Eventbrite ticketing. See link above. Congratulations to all our dancers & guest artists for a fantastic successful year!! 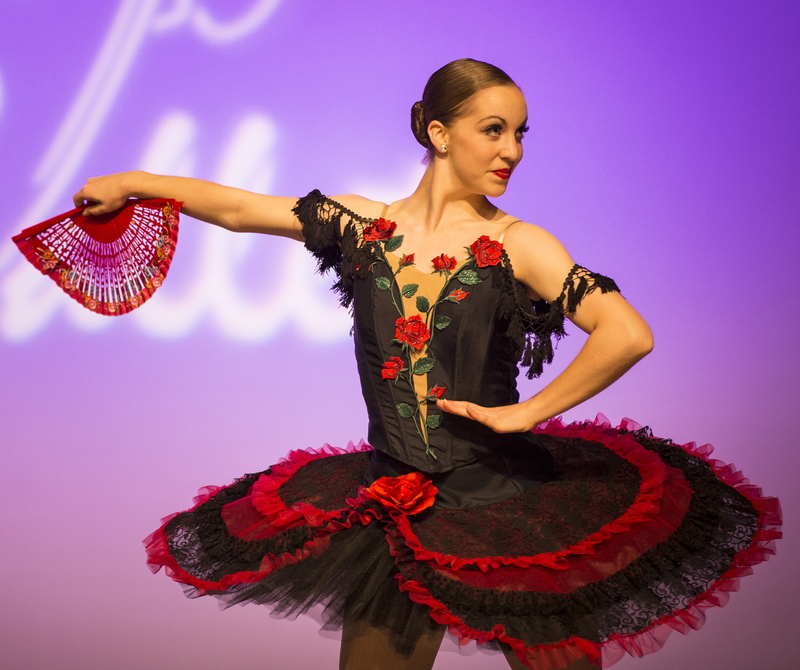 Showcasing our Intensive Training Program soloists & dance company with Special guests – Kasandra la China & Andrea Williams dancing Flamenco and Meredith Kalman dancing a contemporary creation. Thank you to everyone that came out and supported us on Sunday June 7th! We couldn’t have done this without all of you! Looking forward to a fantastic upcoming season for 2015/2016 festival and performance season! FALL programs begins week of TUES SEPT 8, 2015. Please note NO classes on Sat Sept 12, 2015 due to The Dance Centre building closures for private fundraising function. All Sat classes will be back to normal on Sat Sept 19, 2015. SUMMER BREAK – July 26 – Sept 7, 2015. No classes running during this time for all programs. DLDC has gone fishing! Summer Dance Program – July 2014 EARLY REGISTRATION BEGINS NOW! Ballet technique, contemporary, stretch & strength, posture placement, dance vocabulary and musicality. The summer intensive program will have a strong classical emphasis with the support of contemporary dance movement. Creative instruction will be given to explore and refine the classical & contemporary movements with sensitivity to each students particular physical requirements. The classes will focuses on proper and safe body alignment and posture stabilizers. The techniques that are taught in the program are progressive. It will give the student a strong technical base plus increase their range of motion and overall flexibility. 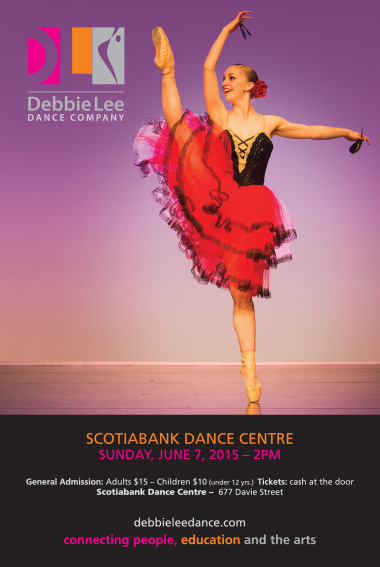 Programs are held at The Scotiabank Dance Centre studios at the Yaletown downtown location. All students (ages 7 – 19 years) that are interested in auditioning for the full-time 2014/2015 season will be observed through the summer programming. Please notify us of your interests for the (ITP) Intensive Training Program. Current ITP students must attend summer programming in order to be re-considered for Fall 2014/2015 full-time dance season. This encouraging and challenging progressive ballet class will introduce the true training of the preliminary basics of ballet technique. It will not only develop the eager student‘s athleticism but also their appreciation for the art of classical ballet. Emphasis of safe correct body alignment, development of physical strength and flexibility will be progressed throughout the session. The student will learn classical ballet terminology and technique through strengthening exercises, ballet barre work, safe stretching, centre floor movement and combinations with arm movements (port de bras) and jumps (allegro work). The contemporary part of the intensive will have a heavy emphasis on connection between the body and mind where dancers are encouraged to explore and discover their inner emotions through movement while pushing their bodies beyond traditional movement.The classes would be exploring balances, weight energy, floor work, rolling, falling and recovery, flexibility and range of motion, jumping through space and physical creative phrasing plus improvisation. The use of breath, postures, mind and body connections is a large part of the structure of each class to develop the dancers body awareness and natural impulses which are valuable tools for the developing dancer. This encouraging and challenging progressive program will introduce the true training of the basics of ballet and dance technique. It will not only develop the eager student‘s athleticism but also their appreciation for the art of classical ballet. Emphasis of safe correct body alignment, development of physical strength and flexibility will be progressed throughout the session. The student will learn classical ballet terminology and technique through strengthening exercises, ballet barre work, safe stretching, centre floor movement and combinations with arm movements (port de bras)and jumps (allegro work). The contemporary part of the intensive will have a heavy emphasis on connection between the body and mind where dancers are encouraged to explore and discover their inner emotions through movement while pushing their bodies beyond traditional movement.The classes could often be exploring balances, weight energy, floor work, rolling, falling and recovery, flexibility and range of motion, jumping through space and physical creative phrasing plus improvisation. The use of breath, postures, mind and body connections is a large part of the structure of each class to develop the dancers body awareness and natural impulses which are valuable tools for the developing dancer. Auditions for these programs will be observed during summer intensive programming. Fundamentals and basic technique is always reviewed and stressed in this program with continual development of dance movement vocabulary and longer combinations at the barre and center practice. Travelling and linking steps together along with pirouettes from a travelling preparation will be taught along with progressive allegro work carry the student into simple grand allegro ballet movements. Review and drilling of allegro will be the strongly focused to move the student forward to the next level where you can combine the allegro work together and start to feel more confident. Understanding the use of major and micro muscles will be emphasized to maximize your bodies potential. Musicality will also be an important focus for this level to understand the how to use the music to help you dance classical ballet with lyrical qualities and ease of movement to advance your studies. This encouraging and challenging progressive ballet class will introduce the true training of the preliminary basics of ballet technique. It will not only develop the eager student‘s athleticism but also their appreciation for the art of classical ballet. Emphasis of safe correct body alignment, development of physical strength and flexibility will be progressed throughout the session. The student will learn classical ballet terminology and technique through strengthening exercises, ballet barre work, safe stretching, centre floor movement and combinations with arm movements (port de bras)and jumps (allegro work). 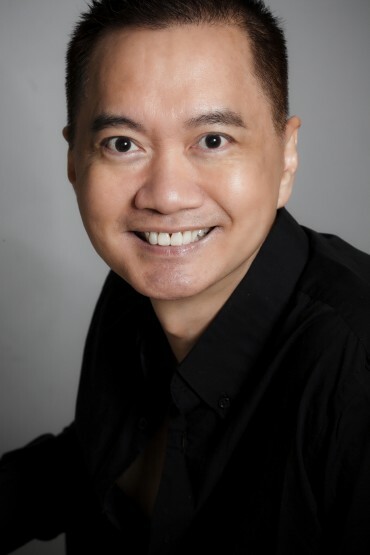 The Washington School of Ballet – Masterclasses with Kee-Juan Han, School Director Jan 25 & 26, 2014. Pre-registration for masterclasses will be required to ensure your space. Register early! *Note Interm & Adv class cancelled due to lack of registration. Please note we have now combined the Open adult class at 12:30pm with Interm & Adv class. $30.00 per workshop level attended. Note: DLDC current card holder members may use the equivalent to 2hrs on their current class cards. Email money transfers to our general email address info@debbieleedance.com can be accepted to ensure your space in the workshop. Note the student must be at least 13 years old by June 23, 2014 to be considered for the senior auditions. *Note auditions for lower age group and levels may also apply but some conditions will apply. Please fill out a registration form with the link provided below along with a headshot and first arabesque photo. Bring this with you on the day of the audition. Please visit http://www.washingtonballet.org/the-school/summer-intensive/ for more detailed information for the audition.